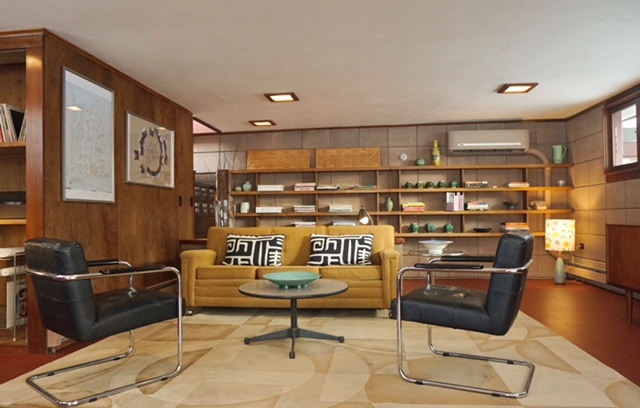 Originally designed as part of planned Usonian community (twenty-one homes were planned, only four were built) in Galesburg, Michigan, the Eppstein House was built in 1953. It has recently undergone eighteen months of restoration by its new owners, Marika Broere and Tony Hillebrandt, who have lovingly returned it to its original beauty. Finalised in December 2017, the rejuvenation of the house has completely updated the building whilst preserving Wright’s original design. 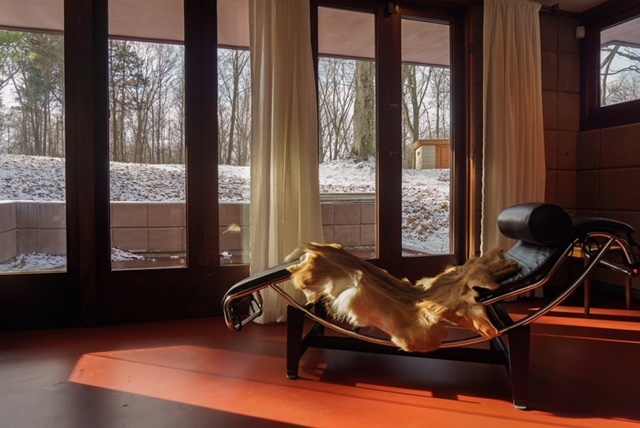 The original textile blocks – marked as the house’s signature element – have been stained with a UV-protective coating which was designed specifically with Usonian textile blocks in mind. Keeping up with the 21st Century, climate control systems have been added to each room, and the electric and plumbing systems have been brought up to date – including an on-demand hot water supply. The bathroom itself has also been renovated, with new mahogany finishes complimenting the antique tiles, produced in the 1950s and making sure the house remains in keeping with its heritage. There is also as much as an overhaul outside the property. French drain systems and a new septic tank have been installed, and the decrepit swimming pool – which was not originally designed for the house – has been completely removed. 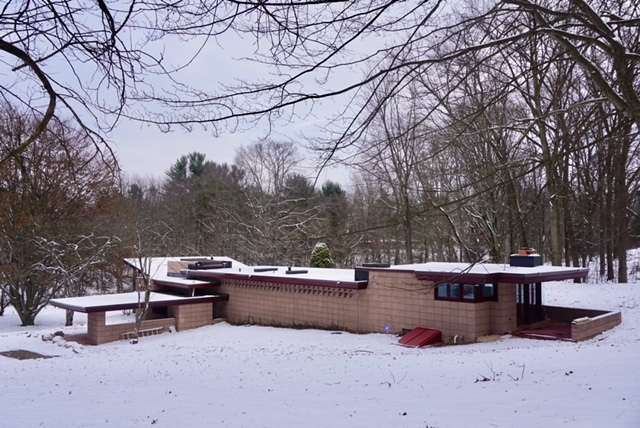 The Eppstein House has been returned to its former glory with the installation of a brand new roof; the property’s concrete floors, original ceiling and outdoor awnings have also been restored. To restore and rebuild broken fixtures, shelves and ledges within the house’s interior, the owners brought in a master carpenter. 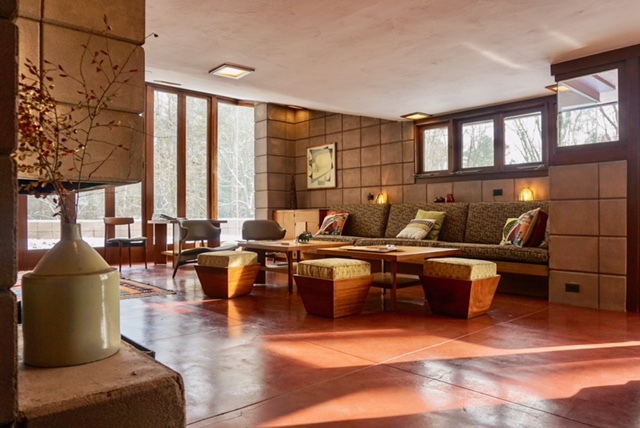 Completing the transformation is the assortment of original Frank Lloyd Wright and period furniture pieces and art works, which now adorn the interior and create those final, stunning touches to a magnificent restoration. 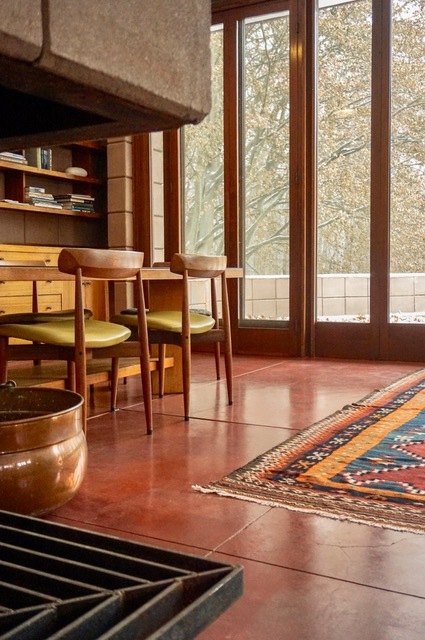 The new owners have said that the house will be opened to the public a few times a year – but in the meantime, with space for six guests, Frank Lloyd Wright fans can enjoy the Eppstein House by renting it out on Airbnb for around £250 - £400 per night.